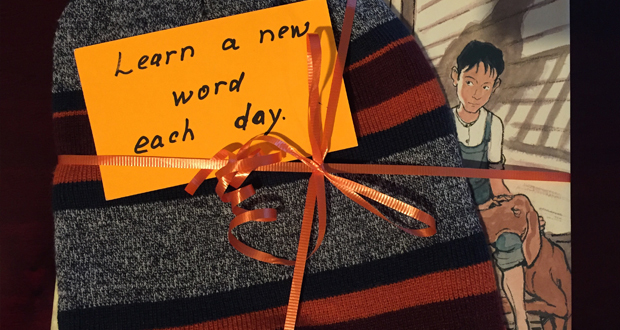 Donations of picture books and outwear (hat, scarf, gloves) along with a brief note of encouragement or welcome will be collected from September thru December. The gifts will be wrapped at our December meeting. A future date will be scheduled for distribution and to read with the families. Any member is welcome to participate. 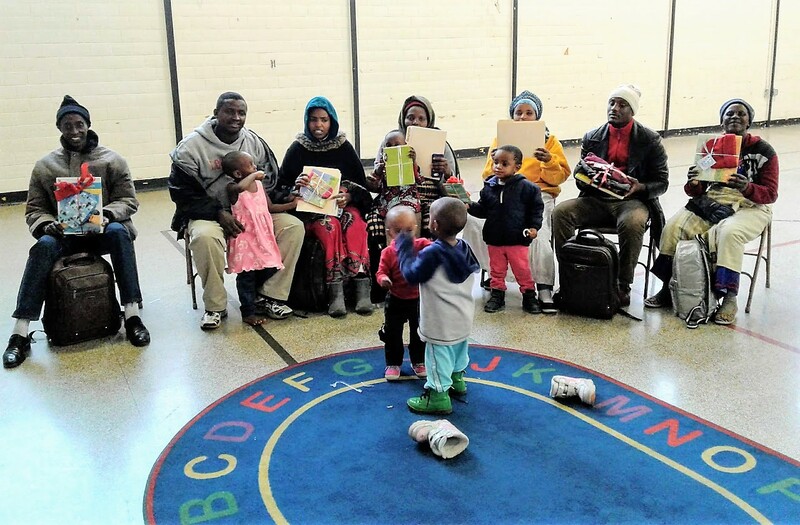 NCFL provides various ways to assist refugee family members of all ages, including English as a Second Language class, homework assistance, and guidance and support to ease the challenges of relocation and transition. The NCFL program in Louisville organized thru Catholic Charities takes place at Holy Cross High School on Monday thru Thursday evenings from 5:30 – 7:30 pm. Now in its second year, the program is expanding and looking for volunteers to work in several areas. If you would like to volunteer or want to learn more about the program, contact Debbie Chartoff at debbiechartoff@gmail.com. 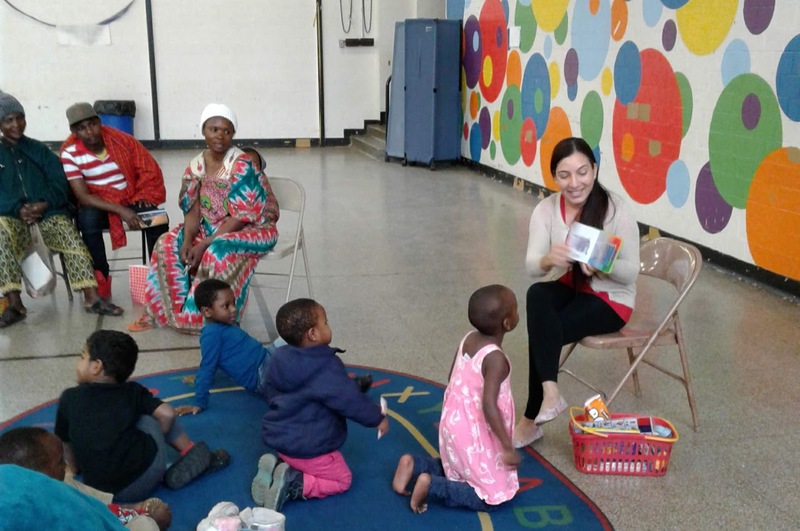 My sincere thanks to all of you who participated in the Words, Warmth, and Wisdom Project to benefit refugee families at Catholic Charities ESL Program. 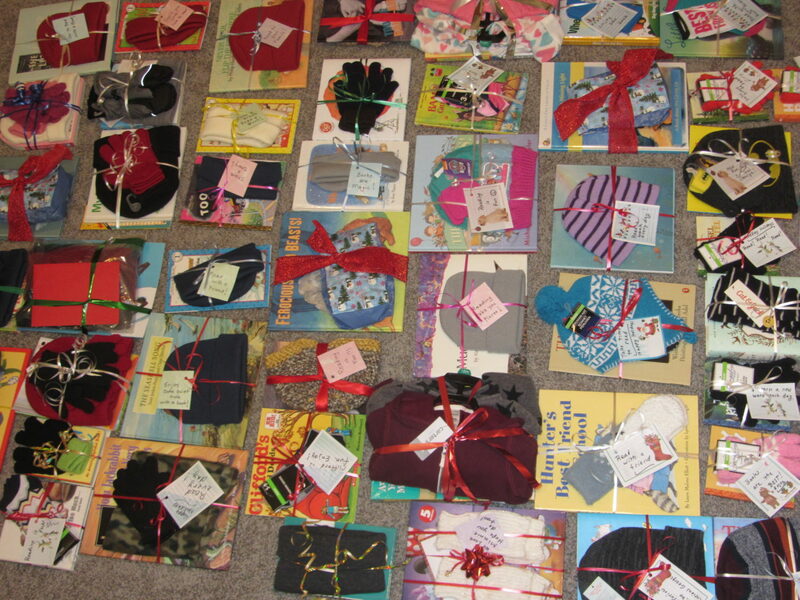 Over 50 books were donated with a variety of winter wear! 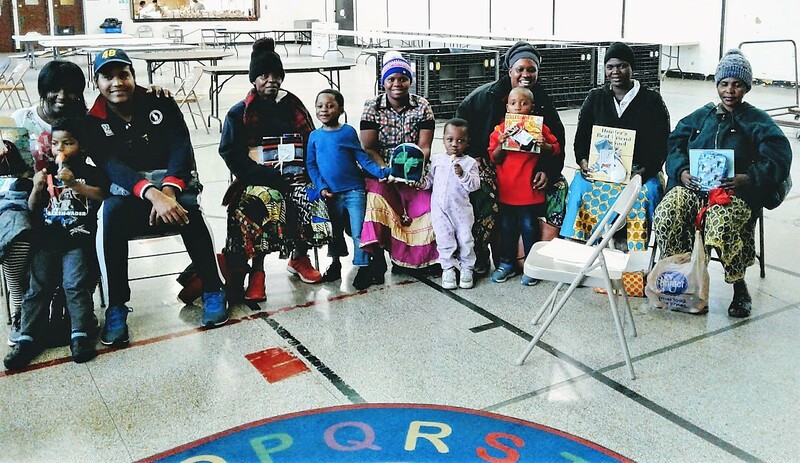 Prior to the books being distributed, the Director spoke about literacy and the importance of reading with parents and children, and a teacher read books to the group. They have planned reading time once a month and will have a book giveaway with the extra books. Wishing you good health and peace in the coming year, and thanks again.